When we launched Picture This Clothing in August of 2016, things blew up virally on the internet before we had a chance to even process what was happening. The internet being what it is, I got to hear lots of rage about what a really horrible, horrible person I was, and message I was sending, to feature little girls wearing makeup on our website. For the record, I didn’t put makeup on the kids on our website. 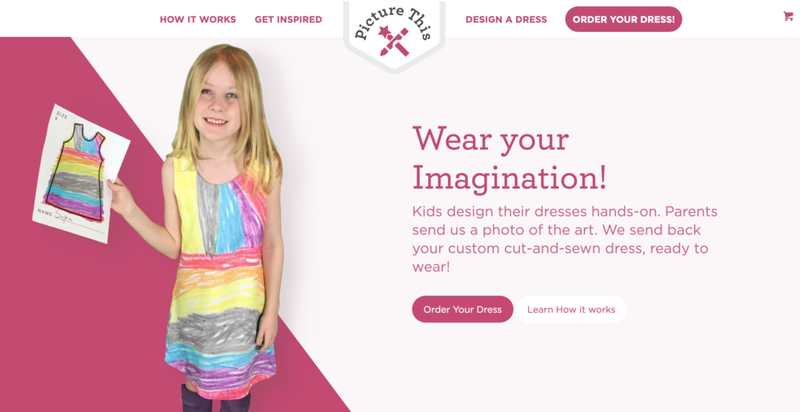 We launched Picture This Clothing as a proof-of-concept back in August of 2016. For proofs-of-concept you do as many things as swiftly and on the cheap as possible just to get the idea out into the world. We still did it with care for quality and detail, but one of the things we did as swiftly and inexpensively as we could was take our own website/product photos. We didn’t hire models or a photographer. I had an iPhone 6 and two seven-year-olds eager to help out. When we first launched, we only offered dresses. T-shirts are far more complex garments to make (all of our garments are cut & sew, we don’t use pre-assembled clothing), so we figured we’d test the dresses first and see how it went, if things went well we’d add t-shirts, and so-on. 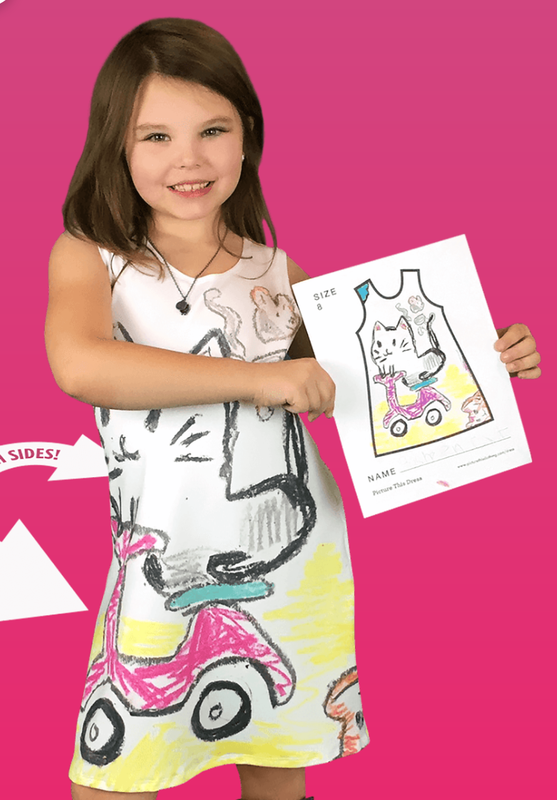 Additionally, this concept was born out of a dress I’d made for my youngest daughter Zia from a drawing she’d done, so dresses just seemed to make sense as a starting point. Please don’t focus on the creepy butter-knives, we don’t make habit of playing with kitchen cutlery in our home. They asked if they could use them specifically to take “scary photos”, I said yes since they’d done all this fine work on their faces and costumes. Gigi and Zia have been best friends since they met at day-care when they were two-and-a-half years old. This, to me, (sans butter-knives) is a totally normal morning with these two. They play. They dress up. They imagine. They giggle. They dream. But ya, I had some face scrubbing to do to get them to the point where we could take the photos that were used on the website. I really thought I’d done a pretty good job considering where we started. But there’s always stuff no one sees. Zia and Gigi were seven in these photos. They use makeup for play, not for self-esteem. I think it’s great. I welcome all thoughts on kids and makeup!